VAMPIRE ACADEMY Music Video feat. 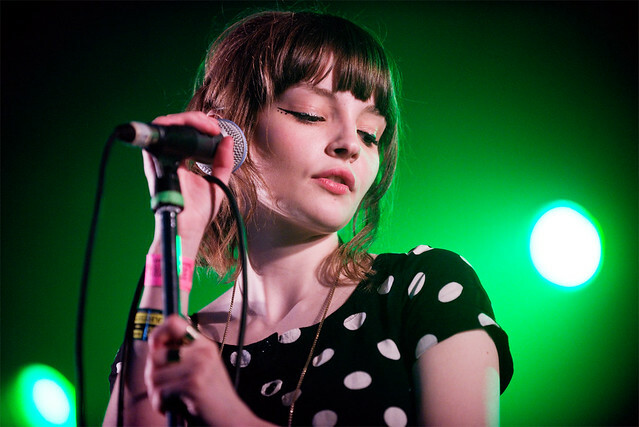 CHVRCHES' SONG "BELA LUGOSI'S DEAD"
CHVRCHES will be performing at this year's Coachella in April. Last month, we got to hear Chvrches' cover of the Bauhaus song "Bela Lugosi's Dead" for The Vampire Academy soundtrack. Now, get a look at this new video. It's part trailer and part music video which is pretty cool and sort of explains the history of vampires to get you ready for the film. Chvrches, known for the electro-pop melodies, put their own special touches for this version and are currently on their European tour. They're scheduled to perform at this years' Coachella on April 12th and 19th. The movie is in theaters now.